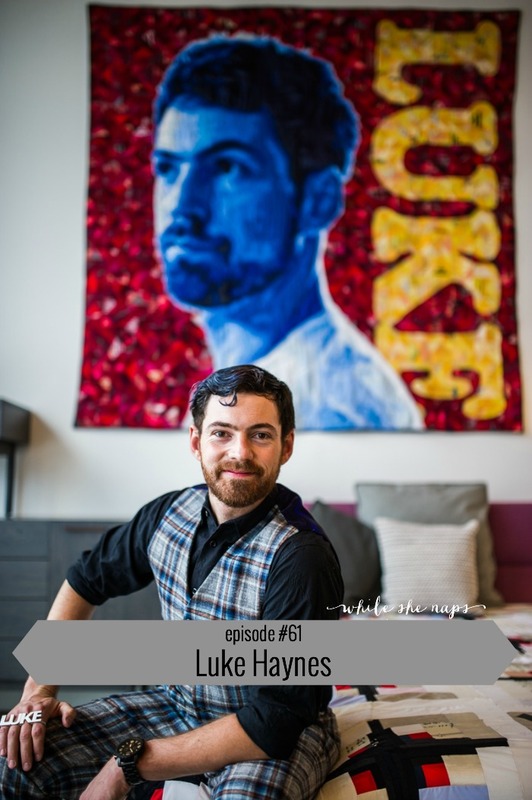 On today’s episode of the While She Naps podcast we’re talking about quilts as fine art with my guest, Luke Haynes. A chance encounter with a box of fabric remnants sparked Luke’ imagination. 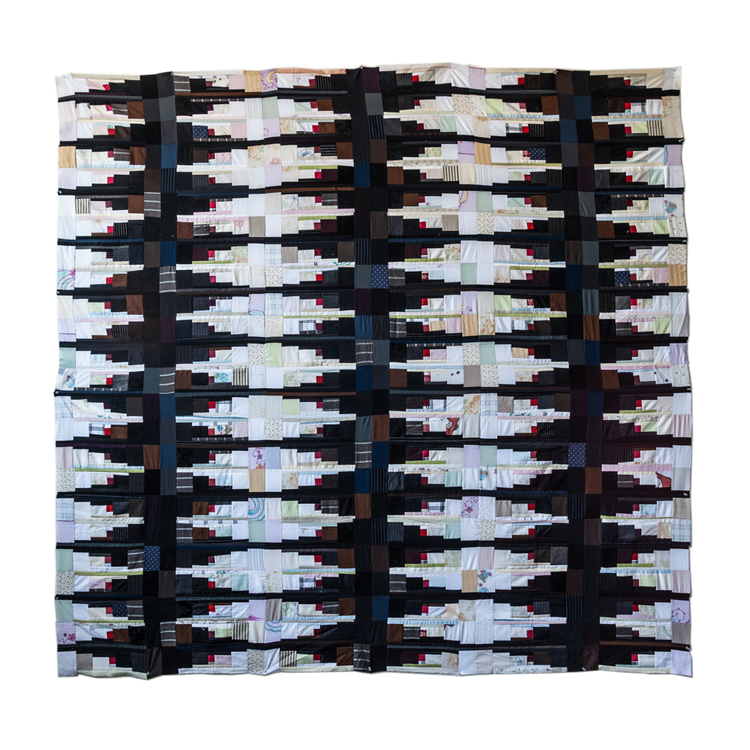 His first quilt, measuring 7′ x 10′, led him through years of experimentation and improvements over the years that he has been quilting. Luke uses reclaimed materials from the communities he works with in his projects to speak with the textile language of the area. We talk about how Luke’s new fabric line, Dapper, with Moda came about and what his goals are when it comes to designing commercial fabrics. 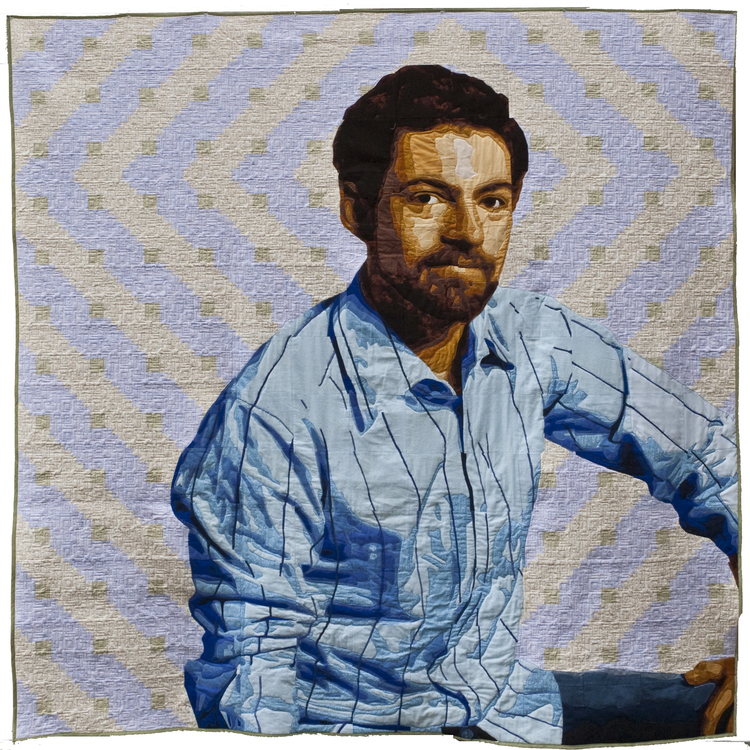 Luke reflects on his relationship with “the quilt police” and the traditions of quilting. He shares his background growing up in various parts of the American south, studying at North Carolina School of the Arts, spending a few years at Cooper Union, interning for an architecture firm, and then switching gears to pursue a career as an artist. 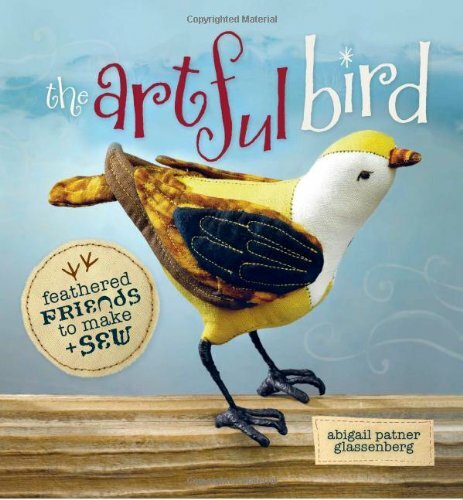 Luke has a really insightful way of distinguishing between art and craft and thinking about the different movements in quilting: traditional, modern, and art quilts. He talks about why he likes the current art scene in Los Angeles and about a collaboration he did with Fossil. In this video Luke talks about collaboration with Fossil. I ask Luke to talk about the help he gets in piecing his quilts. He explains why he hires people to do some of the piecing of his quilts and how he compensates and the degree to which he acknowledges the women who quilt for him (see their work on Instagram using the hashtags #sewingforluke and #sewinglukesprojects). 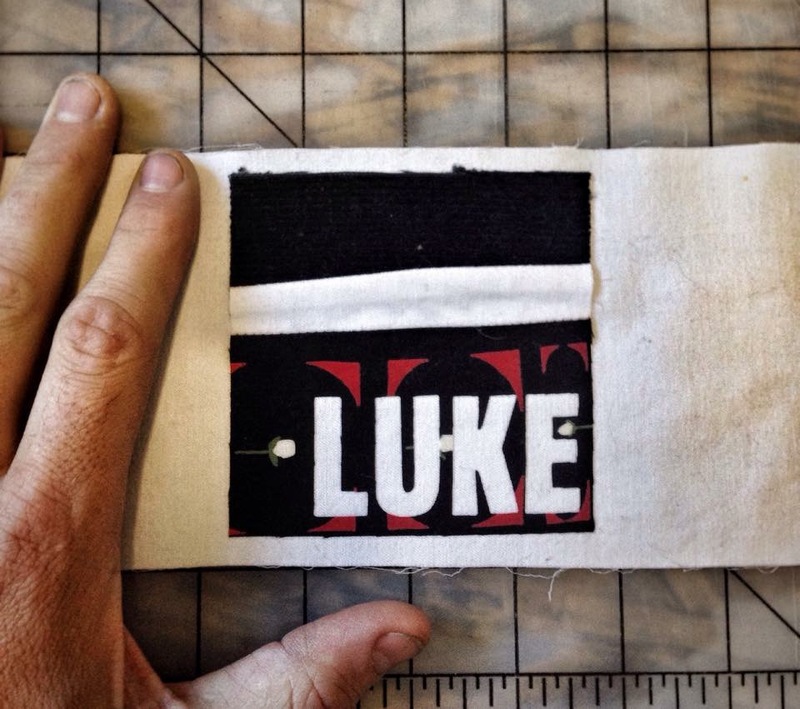 We also discuss how Luke has created a brand for himself by using his name in all caps (LUKE) and signing his quilts on the front rather than using a more traditional quilt label on the back. 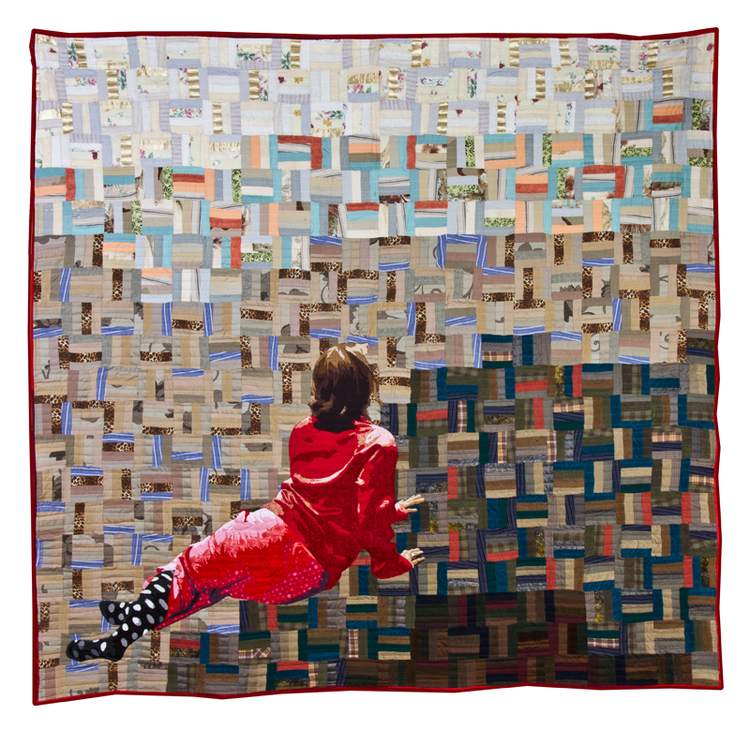 A self-portrait quilt by Luke Haynes. One of the 50 log cabin variation quilts by Luke Haynes. On February 18, 2016 Luke will have an exhibition in Los Angeles showing 50 variations on log cabin quilts. Called “The Log Cabins of Donald Judd” the quilts will hang in the center of the gallery space. This show is part of his effort to establish himself as a sculptor. Luke has chosen to omit the word “quilt” from the title of the show in order to “remove the preconception of bed and private and valueless.” Quilt Con in Pasadena will coincide with the opening and there will be buses available for those who’d like to check out the gallery show. And, of course, Luke and I recommend great stuff we’re enjoying right now. Luke recommends Alexander McQueen and wearing shoes from a fine art cobbler he recently connected with. Connect with Luke on his website or in Instagram where he’s @entropies. You can listen to the show right here by clicking on the arrow below, or subscribe in iTunes or Stitcher (perfect for Android or Kindle) and listen on the go. If you enjoy the show, tell a friend about it! Thank you so much. Very interesting article. I’ve admired Luke’s work for a while and think he’s doing great things. 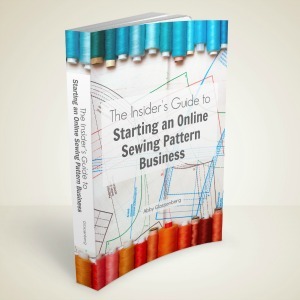 One point – nothing he is doing is new to the quilt world. We have signed our work on the front for ages, many of have tried to be “personalities” and work in both the fine art and the quilt worlds. 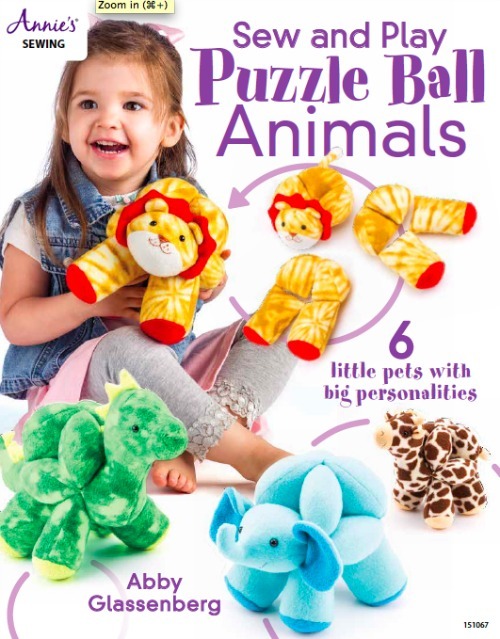 Many use recycled materials. Many have other people do the construction work for them. I love that he points out that women have been doing this as both art and craft for ages. 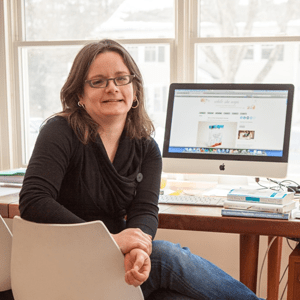 The one point I want to make and that he partially acknowledges, is that men coming into the women’s world of quilting have been welcomed with open arms and receive a LOT of attention. Women coming into the fine art world as quilt makers (acknowledging the art form – which I think has ALWAYS been an art form – just done by women so therefore denigrated and called a craft) work ten times as hard without getting the attention from the (by and large) men who are still the curators, jurors, museum and gallery owners in the fine art world. It has been that way for a long time and continues to be so. I also studied architecture but was most definitely NOT welcomed (to the point of professors literally telling us women did not belong in the field.) I’m hoping the world is changing – but it is slow. Thank you Abby for the wide range of guests and topics on your podcast. After reading comments regarding this episode and links listed on this page to other blog’s postings regarding this topic, I’m saddened to read some of the hostile, judgmental & hurtful language used by other well intended individuals and blog writers. 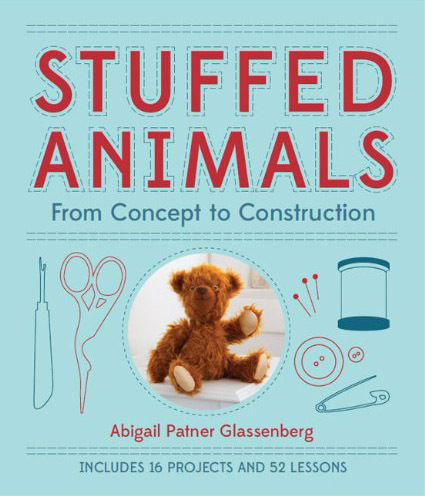 “nothing he is doing is new to the quilt world”, “because I want men to understand how it feels”, “men coming into the Woman’s world of quilting”, “We live in a world where..” followed by listing society’s bias or discrimination towards one class, to justify throwing daggers or tearing down an individual’s worth. I’ve read an appalling amount of hatful hurtful language and commentary on this topic that once on the web, is there forever. As someone new to the world of quilting, I have been welcomed into the craft. Seeing this darker side of anger and dismissive attitude because of gender or perceived attitude has no place in the world of quilting, and gives me pause at participating in a larger arena if bitterness replaces support and celebration of anyone’s accomplishments.